Welcome to the first week of discussions for our new 2017 project, #12mos12rals!! Let's get to it! 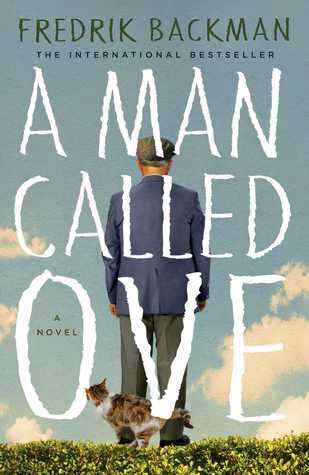 A Man Called Ove is a book that I have found to be surrounded by lots of hype. Everyone that I have talked to that has read this book has raved about it. Going into the book with such high expectations can sometimes result in a not-so-great rating by the time you read the last page. Within the first 85 pages and/or 9 chapters, what are your initial thoughts about this book? Does it live up to the hype? The main character, Ove comes across as a grumpy old man. The neighbors do not follow any of the policies, despite the many notices posted. The customer service rep at the tech store has no clue about selling computers. The new tall lanky neighbor cannot even back up a trailer. It appears that no one can meet his standards or do anything right in his eyes. Have you ever met a grumpy old man like this? "Men are what they are because of what they do. Not what they say." said Ove. In this quote, Ove is sharing a moral code that was passed down from his father. In your own words, what exactly does this mean? Do you see this code as being a bit old-fashioned, or do you still see it carrying over into our modern world? That's it for this week! Share your thoughts below in the comments section and/or feel free to link up in the linky below. Next week, we will chatting about chapters 10-18, pages 86-170. Sorry I didn't check in earlier in the week! My initial thoughts were that the book was a little slow and I will admit I wasn't sure it was living up to the hype during these first 9 chapters. Chapter 8 was frustrating since the end of chapter 7 led me to believe Ove had died and I thought that was going to make the rest of the book less interesting! However, when I got to the end of chapter 9, the twist there drew me more into the story. I think that was a big turning point. I really love the first quote you pulled about colors. I thought this was a beautiful way of showing his connection to his wife. It's a wonderful example of the writing style, which I really enjoyed. As far as the second quote goes, I completely agree with the quote and don't think it's old fashioned at all. I do believe that it is a person's actions that mean much more than what they say, and I think there are many people who still believe the same thing. Julie ... I was so excited to read your thoughts, particularly about your thoughts about the book having a slow start. I thought the same thing, and initially began to wonder why the book was receiving such hype. I kept reading though, and was pleasantly surprised not long after our first bit of required reading for the readalong! I really love the way colors comes into play in this story, especially later on ... but I will comment on that later this month! Finally, the last quote reminds me of the saying that I was raised with, "Don't just talk the talk, be sure to walk the walk." Your actions can sometimes speak louder than words! Looking forward to more chatting! !